What do you need to look for in a travel insurance policy? We’ve put together a comprehensive guide, so you’ll know how to find the cover you need. 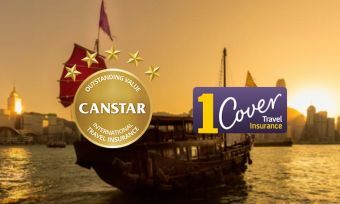 Here at Canstar, we’ve already created your shortlist for when it comes time to compare travel insurance. 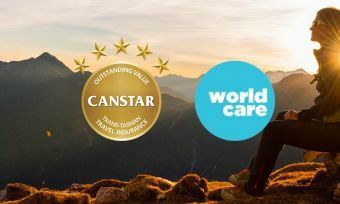 Our five-star ratings make it easy to see which policies provide outstanding value – that ideal balance between cheap travel insurance and features. Take a look at our shortlist on our website for Trans-Tasman and international travel. What Else Matters When You Compare Travel Insurance? 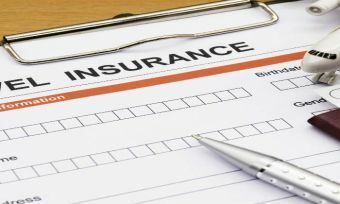 The biggest difference between travel insurance policies is what dollar limit an insurance provider will cover you for. The hunt for your ideal policy is much more than finding cheap travel insurance – it also needs to cover you for your specific holiday activities. Here are some of the main things to look out for in the product disclosure statement (PDS) when you compare travel insurance providers. Dependents: How old are children before they stop being free? Pre-existing medical conditions that are not covered – look for any health conditions you have, especially whether they class pregnancy as a pre-existing medical condition. Maximum and minimum age at which you can get cover. Is there an option for nil excess or adjustable excess? Can you extend your travel period while travelling? Do you get extra cover for paying more? Does it cover activities you might do such as a cruise over international waters, rock climbing, skiing, water sports, or motorcycle riding? What level of cover is provided for medical and dental emergencies? What level of cover is provided for replacing lost luggage, personal belongings (a.k.a. “personal effects”), or travel documents? What level of cover is provided for cancellation fees or administrative fees if you have to cancel your trip? Will your insurer cover you for losing your deposits if you have to cancel your trip? What level of cover is provided for unexpected changes while you’re travelling, and the expenses they cause? Examples of additional expenses include accommodation and transportation that occur because of events such as illness, natural disasters, loss of travel documents, and transport union strikes. What level of cover is provided for paying a rental vehicle excess? What level of cover is provided for death, disability, and loss of income? What level of cover is provided for your legal liability if you are sued for negligent damage to another person’s property or injury to another person while travelling? This is typically $2.5 million or more. What level of cover is provided for “domestic services” such as paying for a boarding house for your pets, e.g. if your return home is delayed? You can read the Methodology of our star ratings process for more information.